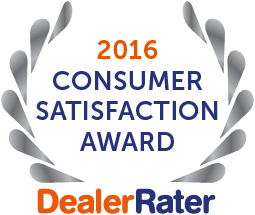 We work hard to ensure each of our drivers leaves AutoMax Dodge Chrysler Jeep Ram satisfied, and we are proud to announce that DealerRater just named us to their list of 2016 Consumer Satisfaction Award winners. 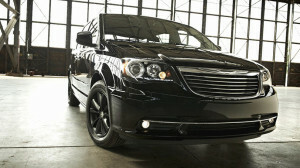 That means we’re one of the top Chrysler, Jeep, Dodge, and Ram car dealers for Tulsa and Oklahoma City. Our new vehicle inventory is one of the most diverse in the area, and our sales team works one-on-one with area drivers to help them find the right vehicle for their needs. But those are just part of the reason DealerRater ranked us among the top ten percent of over 43,000 North American and Canadian auto dealers. Our history of great reviews and continually satisfied customers set us apart from the pack. What Qualified AutoMax to Win the Award? Drivers like you qualified us to win the DealerRater award, and while we can’t get inside all of your heads, we do have an idea of what led to so many positive reviews, making us a leading Chrysler, Jeep, Dodge, and Ram car dealer for Tulsa and Oklahoma City. A vast selection of new and used vehicles makes it easy for us to find the perfect car for you and your budget. Our many brands ensure a new vehicle selection that other dealerships just can’t compete with, and we stock all brands of used cars, trucks, SUVs, and minivans. The team in our service center is staffed by trustworthy and honest mechanics who care about fixing your car and saving you money. 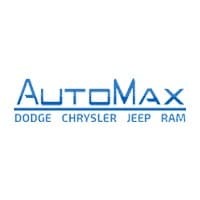 Finance experts at AutoMax are honest and upfront; we make sure you know the bottom line without any hidden fees. Our accurate trade-in estimates let you know your budget before even visiting our dealership. 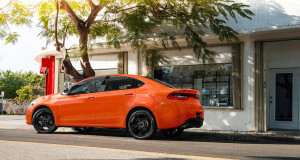 2016 Dodge Dart – Five different trim levels, three different engines, and a host of available package options let you customize this sporty small car to fit your needs. Easily the most variable and unique small car. 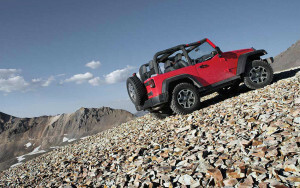 2016 Jeep Wrangler – There are other Jeeps and drivers love them, but the Wrangler is the premiere Jeep—an all-time classic. Available in two- or four-door styles, enjoy the rugged feel of an iconic SUV and know that you have a car capable of taking on anything. 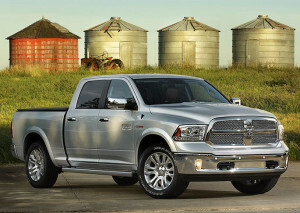 2016 Ram 1500 – The pickup wars will likely never end, but everyone else is competing for second place to the Ram 1500 right now. Three engine options, multiple cab and bed lengths, and a range of trims from a work truck to a luxury pickup ensure there’s a Ram 1500 for you. We think it’s important for you to experience what makes us a leading Chrysler, Jeep, Dodge, and Ram car dealer for Tulsa and Oklahoma City. Contact us online or by phone at (888) 974-0688 to schedule a test drive of one of our new 2016 models, or feel free to drop by the dealership at 4141 N Harrison St in Shawnee, OK six days a week.